During the Disney Parks Magical Christmas Celebration, Disney showcased a video featuring a peek inside Pandora – The World of Avatar coming to Disney’s Animal Kingdom. 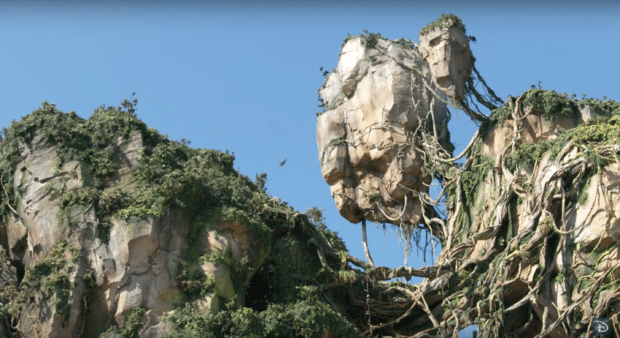 This immense land has been under construction for quite a few years and it was officially announced at the recent Destination D event that the opening would be summer 2017. In the behind the scenes video released today, James Cameron (Creator & Director of Avatar), Joe Rohde (Walt Disney Imagineering Senior VP Creative), & Jon Landau (Producer of Avatar) speak in-depth of the new land. 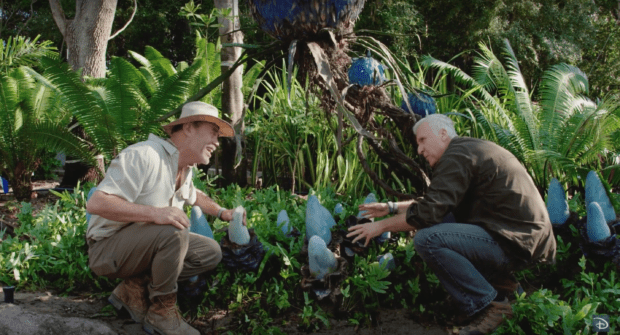 These defining words from Joe Rohde point very strongly towards a totally interactive environment that changes and adapts to the guests. 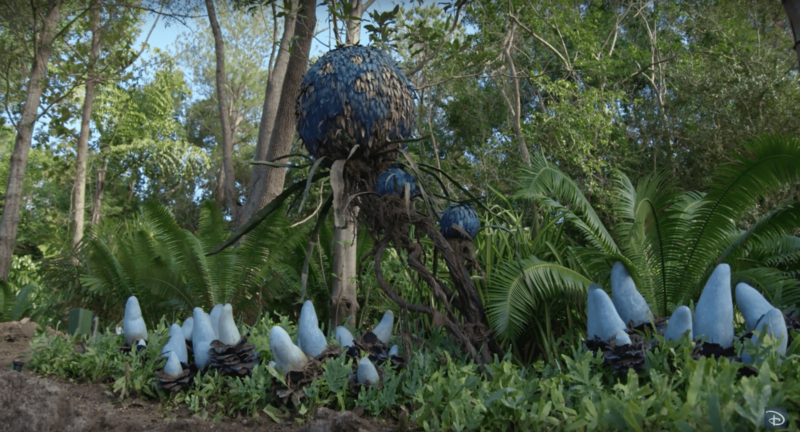 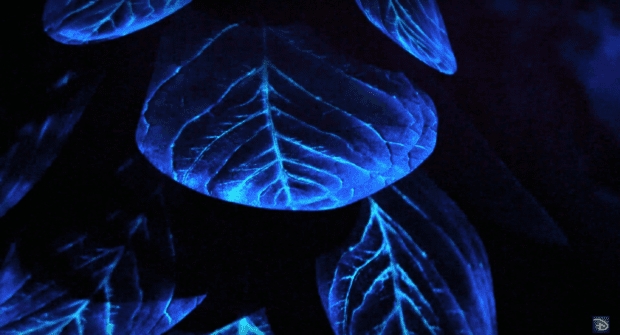 Previous videos have shown how the ground interacts to guests footprints and now we see many of the plant life that will illuminate and adapt to the guests around them. During the video we are also given the first ever glimpse inside of one of the two upcoming attractions. 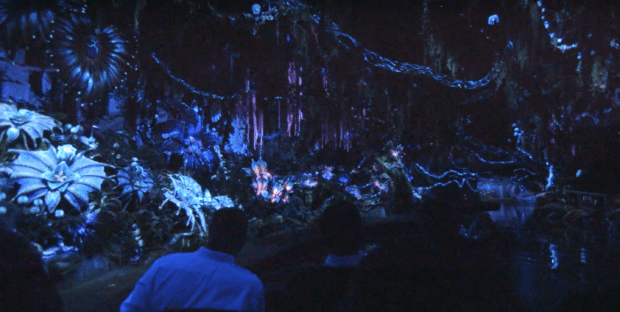 The Na’vi River Journey will transport guests into the bioluminescent forests of Pandora for a tour of the stunning plant life that envelops the planet. These first glimpses show us how the boats will move through the ride showcasing the plants and wildlife. 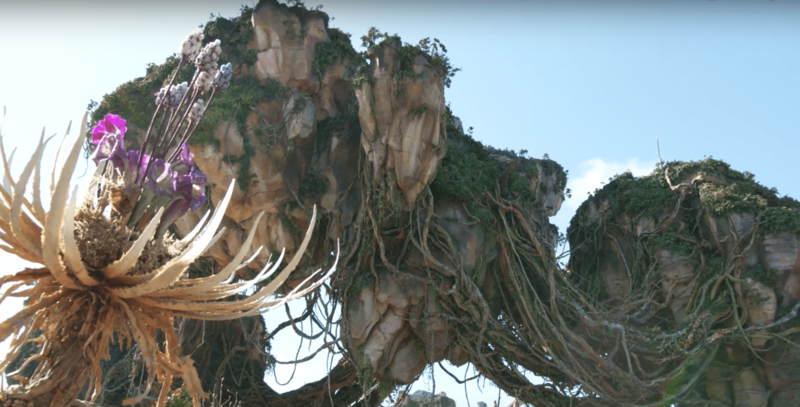 The closest comparison for a ride would be Living with the Land at Epcot. One of the greatest portions of the video was the sweeping views of the nearly finished floating mountains over Pandora. 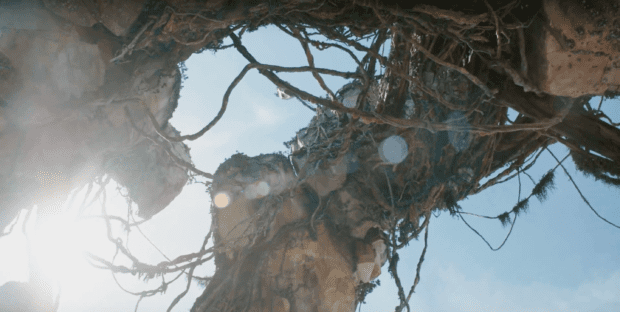 These large structures appear to be light weight and graceful, but in fact they are marvels of engineering holding up thousands and thousands of pounds. Pandora – The World of Avatar is coming summer 2017 and marks the biggest expansion in Animal Kingdom’s history. 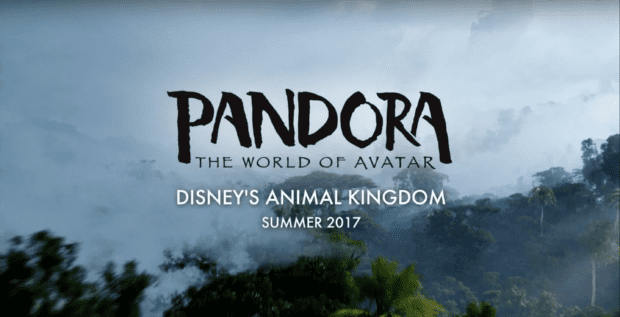 Stay tuned to Attractions Magazine for more updates as we learn more and more about this expansion as we get closer to entering Pandora.